A serviced office in MediaCityUK puts you at the heart of an area that is both well established and yet still rapidly developing all the time – one of the hallmarks of the wider Salford Quays business community over many years now. The area extends west from Trafford Road, stretching from Clippers Quay to the larger Ontario and Erie Basins and the television studios used by both ITV and BBC, among other production companies. Unusually, our serviced offices on Clippers Quay have a very different postcode to our Exchange Quay offices just across Trafford Road – east of the road it’s the M5 district, while to the west, Clippers Quay is officially designated M50, marking it out as part of the modern MediaCity community. This sends a clear message to would-be investors, job applicants and customers, associating you with the businesses in this increasingly prosperous part of town, and making Clippers Quay an especially good option for anyone with links to media and the creative industries. If you work with individuals and organisations who are based around the TV studios or anywhere in the surrounding area, then Clippers Quay offers easy-access serviced offices in MediaCityUK, with the nearby Exchange Quay Metrolink stop, access by car via Trafford Road and good pedestrian routes around the local area. As always with any of our serviced offices in Manchester or London, you’ll benefit from friendly staff ready to greet visitors on arrival and make sure they either wait in reception for one of your representatives to come and meet them, or that they know exactly where your offices are in the building. This gives you some breathing space – so if you’re not quite ready and want to make sure you get the first impression absolutely right, your guests can be kept at reception until you are ready for them, without feeling abandoned. Similarly, when you hire serviced offices in MediaCity, you benefit from a direct postal address in the M50 postcode and a non-geographic or Manchester telephone number, whichever you prefer, for anyone who needs to get in touch. What’s going on in MediaCity? It’s an area with a diverse range of uses, from business premises and those large media organisations, to a vibrant social scene, and attractions like the Imperial War Museum North, The Lowry Theatre and opposite it, The Lowry Outlet shopping centre. There are plenty of bars and restaurants if you prefer to take client meetings to a less formal setting, or if you need to grab something to eat and drink at any point during your day. 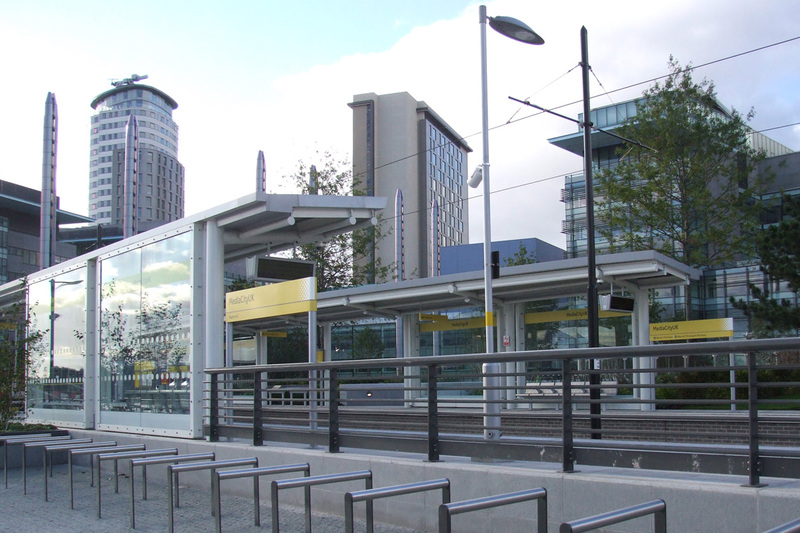 And from the adjacent Exchange Quay Metrolink stop, you’re minutes away from central Manchester and onward journeys via taxi, bus, national rail services and even by plane from Manchester Airport. Few locations have as much to offer, and especially not with such good access to serviced offices, meeting rooms and conference facilities in such a desirable and vibrant area, making MediaCityUK arguably one of the best places to do business not only in the north-west, but on the nationwide UK stage.